photo by Bob Doran Gary Graham Hughes is the new executive director of the Environmental Protection Information Center in Arcata. 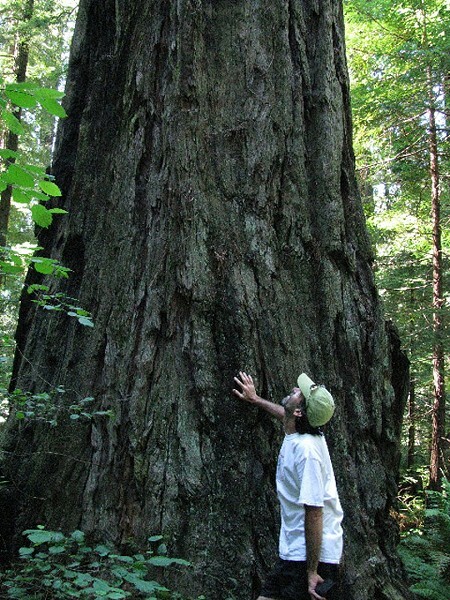 photo courtesy of EPIC Gary Graham Hughes, EPIC’s new executive director, recently took a potential donor to see the redwoods at Grizzly Creek Redwoods State Park. photo courtesy of Gary Graham Hughes Hughes at the summit. 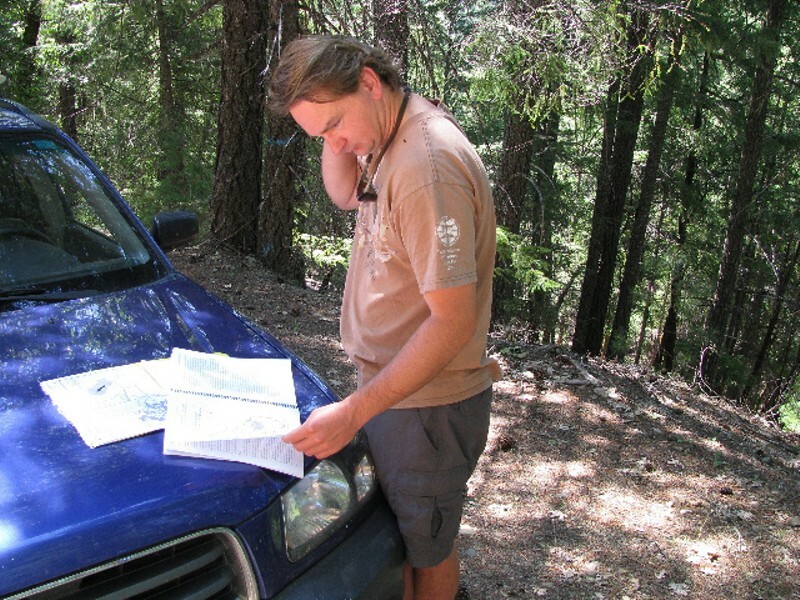 photo courtesy of epic Orahoske reviews documents at the site of the proposed Beaverslide Timber Sale. 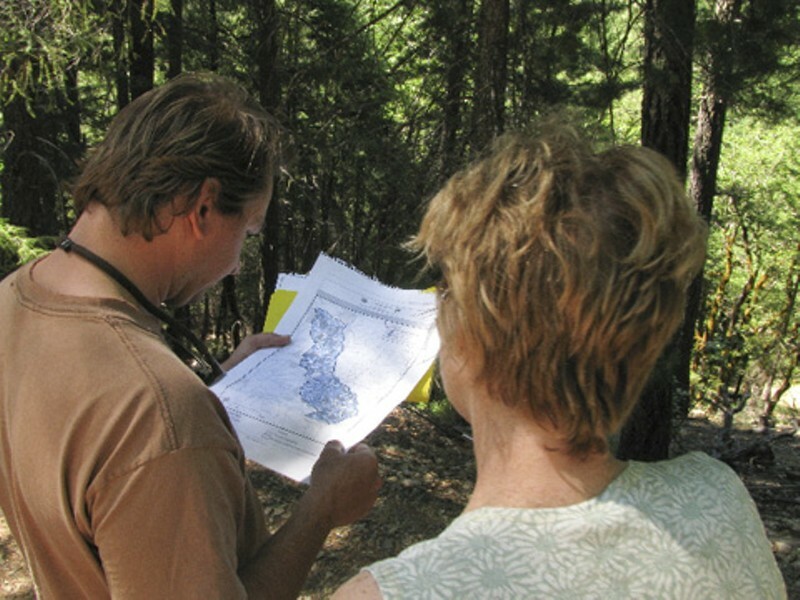 photo courtesy of epic Andrew Orahoske, EPIC’s new conservation director, and Denise Boggs of Conservation Congress, a Montana environmental group, study a map showing proposed logging areas where northern spotted owls are active. The trees slated for cutting, mostly Douglas fir and marked with slashes of blue paint, were on the small side-about 18 inches in diameter. More striking, both for their size and number, were the stumps. Four to five feet in diameter, they stood as reminders that there was once an old-growth forest here. "People expect to hear that ancient forests are falling," said Gary Graham Hughes, one of the new hands at the helm of the Arcata-based Environmental Protection Information Center. "The truth is they already got hammered." Hughes has recently taken over Humboldt's most prominent locally grown environmental group at a time when it is savoring a Richardson Grove victory, girding for a new fight over proposed park closures and gambling on a beefed-up leadership structure. On a recent Sunday, Hughes led fellow environmentalists and a potential donor through a patch of forest south of Ruth Lake, where commercial logging is planned in the Six Rivers National Forest. The Beaverslide Timber Sale and Fuel Treatment Project, near the headwaters of the Mad River, would allow commercial logging on almost 2,400 acres, as well as thinning and controlled burning aimed at reducing wildfire risks on another 2,300 acres. EPIC worries that if chainsaws once again disrupt the quiet of this less-than-virgin forest - a forest, diminished as it is, that still harbors populations of northern spotted owls -- it would degrade the threatened owl's habitat. And it would add five miles of roads to an area already heavily penetrated by them. The Forest Service's regional office has rejected EPIC's appeal to stop the timber sale, and now the ball is in EPIC's court. "We haven't fully made the decision about whether to go to court, but it's a pretty strong probability," said Hughes, who has been the group's executive director since April. Going to court has been a specialty of EPIC's since its birth in the 1970s. At first it was a loose-knit group opposed to aerial herbicide spraying on timberlands in northern Mendocino and southern Humboldt counties. As EPIC fought on, it became a litigation tiger, leading a protracted battle to stop old-growth logging near the coast north of Ft. Bragg, particularly in the Sally Bell Grove. Today that grove is part of Sinkyone Wilderness State Park. EPIC's lawsuit in to save the grove led to a 1983 decision which has been enforced in nearly two dozen later cases. It requires the California Department of Forestry to consider cumulative impacts to water quality, wildlife and other resources when reviewing timber harvest plans. In the years that followed, more EPIC victories, often won in tandem with other environmental groups, forced state agencies to take other steps to protect endangered species and enforce the California Environmental Quality Act. Over and over, EPIC went to battle against Pacific Lumber Co. in the long struggle to protect the Headwaters Forest, the 3,000-acre chunk of redwood old-growth southeast of Eureka. From 1989 to 2005, according to the Journal of Forestry, EPIC had the highest success rate in court among parties taking on the U.S. Forest Service. During that time, EPIC prevailed in 65 percent of its cases. Boldness is what sets EPIC apart, said Sharon Duggan, an attorney for EPIC who also does legal work for other environmental groups. "To use the phrase of a dear colleague of mine, EPIC is the ‘embodiment of radical confidence.' They're not afraid to take on the hard issues." The most current example of that, she said, is the ongoing battle over widening Highway 101 through Richardson Grove State Park. EPIC and two other environmental groups, the Center for Biological Diversity and Californians for Alternatives to Toxics, won a significant victory in July when a federal judge granted a preliminary injunction temporarily halting the controversial Caltrans plan to widen the highway. "They're unabashed and they fight very hard with very little resources," Duggan went on. "They fight the good fight." Not everyone, of course, thinks the fight is all that great. 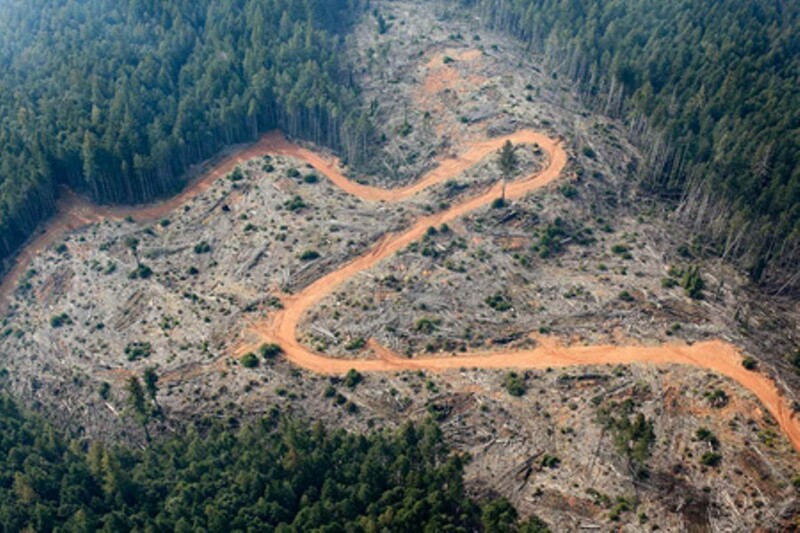 "Unfortunately, in our experience, there are some environmental groups that just say ‘no,' period," said Jackie Deuschle, public affairs manager with Green Diamond Resource Company, a Korbel-based logging concern. For years, some at EPIC felt defined by the battle for the Headwaters. "Through the Headwaters era, going after Pacific Lumber was basically our one true goal," said Natalynne DeLapp, EPIC's development director. "Now with the total demise of Pacific Lumber back in 2008, where is our focus, what do we need to be doing to succeed in our mission?" It is, she said, a time of reformation for EPIC, a time to renew itself for fresh battles. That sense of reformation was heightened in December, she said, with the departure of Scott Greacen, who had been EPIC's executive director for several years. Greacen, an attorney, had also served as program director and development director, and provided legal input, DeLapp said. After he left, the EPIC board divided those duties, bringing DeLapp in from a contracting position to take charge of development, selecting Oregon attorney Andrew Orahoske as conservation director, and choosing Hughes as executive director. "Technically all three of us were hired at once," DeLapp said, because Greacen wore so many hats. With the decision to boost payroll this way in such a small organization, "We're taking a risk. ... We're frontloading the investment. If we do this right, we can really start building up the momentum of the organization." The reason for Greacen's leaving - he now works for Friends of the Eel River - is not completely clear. Greacen declined to comment beyond saying that it was time for a change. The head of Friends of the Eel was more blunt. "I offered him more money," said Nadananda, who goes by just one name. For his part, Hughes - who is getting paid $36,000 a year - embraces the challenges of a job he knows is time-consuming and intense. Environmental groups, after all, can be targets of wrath. "There's a lot of risk involved working at EPIC," Hughes said. "You're taking stances on issues that are critical in terms of the long-term protection of the landscape. There's always going to be tension between development and conservation. Trying to be committed to a vision of the landscape with plentiful salmon, owls and big trees takes up a certain amount of energy." One of Hughes' main jobs is to raise money, not an easy task in these economic times. EPIC's $350,000 budget for 2011 is slightly higher than last year, but nowhere near as big as back in the 1990s, when annual budgets were in the $500,000 range, said Shawnee Alexandri, a custom-home builder who serves as board treasurer. Individual gifts and dues from around 2,000 members, who pay $35 a year at the lowest level, make up roughly two-thirds of EPIC's budget. The rest comes from foundation grants. Hughes, 45, summered in Humboldt as a boy and spent some time attending Miranda Junior High in southern Humboldt. He grew up mostly in Eurene, Ore., though, shaped by a hard-working and blue-collar extended family. "Four a.m. was an active time in the house," Hughes said. That that was the time to get ready for a day shift at the mill, or to go out on a commercial boat and fish for salmon. Back then, in the 1970s, being blue-collar didn't necessarily mean being politically conservative. Hughes' relatives were pro-labor. They knew the land was being logged too heavily, and they were not fans of Richard Nixon. "I remember them shouting, ‘Bastards!' and throwing things at the television during the Watergate hearings," Hughes said. All of that instilled in young Hughes a deep skepticism reinforced during his undergraduate years at the University of Oregon. "UO was a real incubator for advocacy," said Hughes, who started getting involved politically on campus - when he wasn't skateboarding and playing bass in a local band. Hughes helped organize fund-raising events to send medical supplies to El Salvador, and worked with fellow student activists to persuade the university to ban the CIA from coming on campus to recruit. 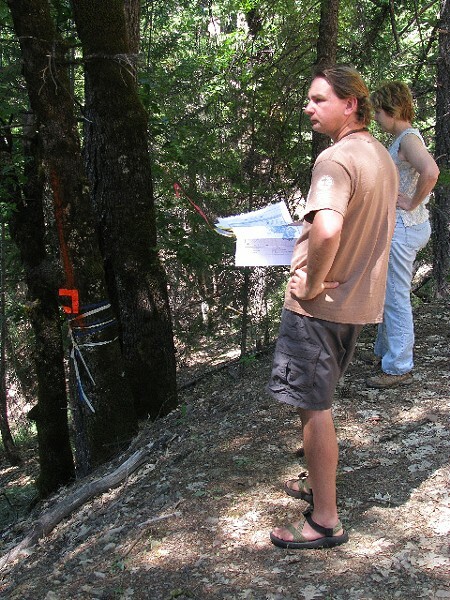 He also started paying attention to the logging of old growth. "We held protests, did letter-writing campaigns. It was where I learned the fundamentals of activism - how to monitor activities on public lands and how to combat them." One of his earliest protest experiences came in 1990. At the time he was living in Seattle and preparing to spend the summer in Alaska. But when he heard about the car bombing of Judi Bari and Darryl Cherney - it happened in May - his plans changed. He headed south to Humboldt to join the "Redwood Summer" protests that eventually culminated in the preservation of the Headwaters Grove. In between protests, Hughes traveled in Central and South America, where he spoke the language and could work as he went. "I could go four months on $800," Hughes said. He still vividly recalls one job - a stint at an orphanage in Guatemala. There he saw a strikingly different reality from life in the U.S. "People in Central America are living beyond the pale in terms of having an opportunity for dignity," Hughes said. 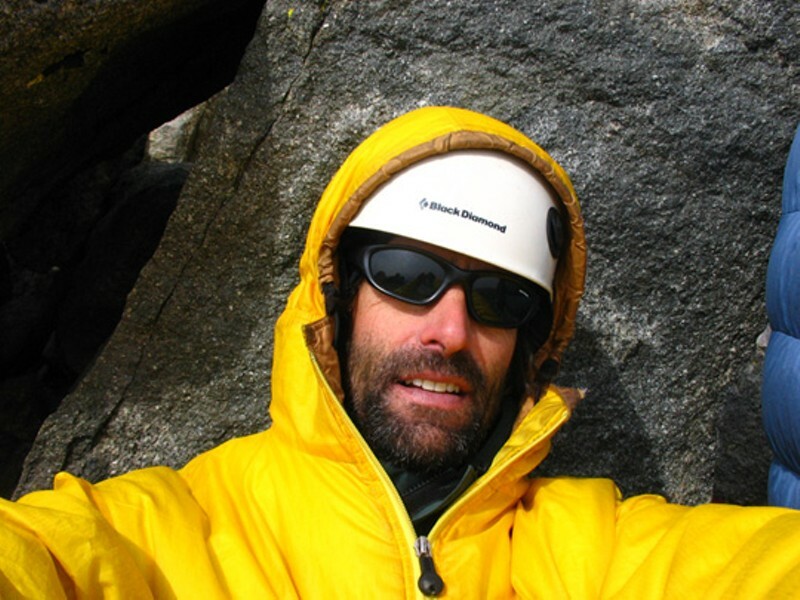 By the mid-1990s Hughes, who is tallish and rangy, had become a serious mountaineer. While not in his own estimation a world-class Alpinist, he has some impressive climbs under his belt, such as El Capitan and rock faces in Utah's Zion National Park. He's also had his share of mishaps. He got seriously off-route on a peak in Bolivia, where he was forced to spend a night bivouacked on a glacier. And while skiing across a frozen lake in Montana, he had to rescue a skiing partner who broke through the ice. Hughes has settled down, at least somewhat, over the past 10 years or so. 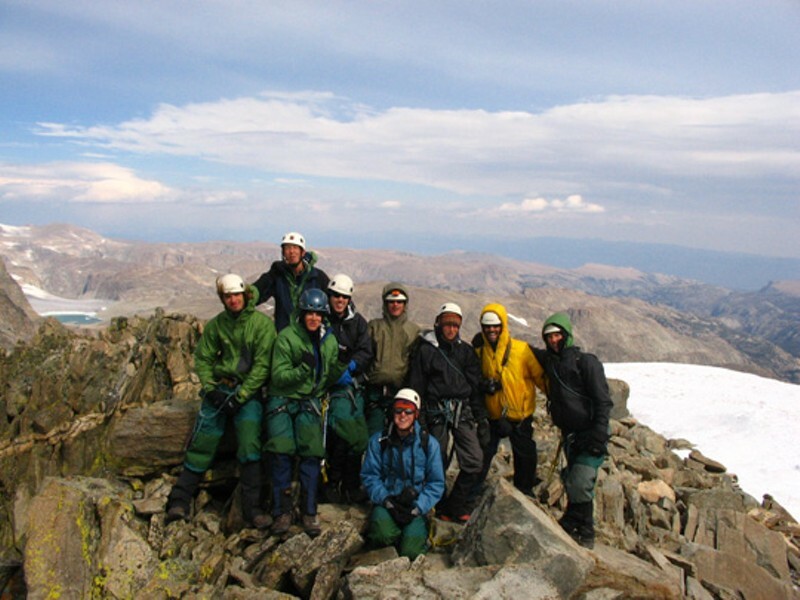 He earned a master's in environmental studies from the University of Montana in 2002, and taught climbing, mountaineering and sea kayaking at the National Outdoor Leadership School. 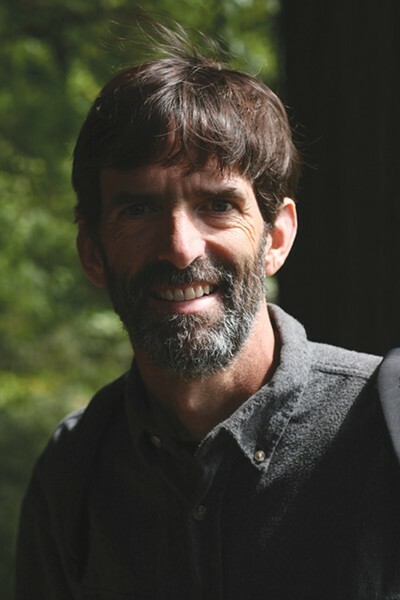 And he built up his environmental credits, working for the National Resources Defense Council and International Rivers, a Berkeley-based group. His efforts included helping protect South American landscapes from a proposed chip mill, an aluminum smelter and major new dams. He was based for time in Mexico City with his wife, Isabel, whom he met in Chile, before the couple relocated to Humboldt County in 2006. Hughes began serving on the EPIC board in 2008 after volunteering for the group. When Greacen left, board members realized they had a good replacement sitting right next to them, board treasurer Alexandri recalled. Hughes, who was working for International Rivers, hesitated. He and his wife were raising a toddler-their daughter, Kiara, was born in 2009-and he was getting great enjoyment out of that. In the end he accepted, deciding the job could be a proving ground. "It's an opportunity to challenge myself professionally and hone skills that will be important for me to master for future conservation work," Hughes said. Alexandri, for one, is glad Hughes accepted. "It's allowed us to reboot the organization," he said. Along with fundraising, Hughes also has to speak for EPIC when things go wrong - as they did earlier this summer when Amber Jamieson, the group's office manager, was arrested after a bust in Fieldbrook netted $1.5 million worth of processed marijuana and some 300 marijuana plants. "Her personal life is her personal life," Hughes said of Jamieson, who has yet to be arraigned. "We can only make judgments on Amber based on her job performance and her performance has been solid. She's done exactly what we've asked of her. "We can only be a supportive part of her community, especially as she's expecting a baby in the fall," he added. Hughes' visit last month to that timber sale planned for the Six Rivers National Forest was more than just a sightseeing tour. He was also showing a potential donor the kind of work EPIC does. On the way back, the group stopped at Grizzly Creek Redwoods State Park, southeast of Fortuna along the Van Duzen River. The park, while tiny - only 360 acres - is significant because it's literally all that's left of the old growth redwood forest that used to carpet this part of the Van Duzen watershed. With the Richardson Grove battle in abeyance, at least for the time being, another California state parks issue has sprung up to take its place: The plan, announced in May, to close as many as 70 of the system's 278 parks. The closures could save the state $11 million in fiscal 2011-12, and a $22 million the year after, according to park officials. EPIC doubts the savings will be real, and it's looking into ways to fight the closures through the courts. Closing and then reopening the state parks at some future date would be more expensive than simply leaving them open, Hughes said. He also said the plan would put at risk grants that 16 of the 70 parks receive through the federal Land and Water Conservation Fund. Grizzly Creek is one of the North Coast state parks slated for closure, along with Standish-Hickey State Recreation Area near Leggett; Benbow State Recreation Area south of Garberville; and Del Norte Coast Redwoods State Park south of Crescent City. "Creating momentum," as Hughes put it, to prevent the closures has become a top EPIC priority. EPIC has used the California Public Records Act to get information on the budgets of individual parks, and has found they "bring in considerable money, but it doesn't appear they are seeing any benefit from it," said Orahoske, EPIC's conservation chief. "All the money goes back to the general fund" rather than back into the parks. The group has also sent targeted emails to its members, and written Gov. Jerry Brown calling for the removal of State Parks Director Ruth Coleman. In conversation, Hughes does not come across as depressed or angry. Even so, talking with him makes clear that, given the extent of the environmental damage the planet has sustained from human development, there is plenty to be depressed and angry about. The Lower Klamath River, for example, used to be an incredibly productive salmon stream. When the fish were running it harbored the densest populations of California grizzlies in the state, Hughes said. Today the salmon have greatly diminished. And the California grizzly is nowhere to be found. Hughes knows that restoring the land to the way it was, if it's possible at all, won't be easy. That's why anyone undertaking environmental work has to be prepared for the long haul, he said. And Hughes also knows that the opponents are not simply development interests. "Amnesia and denial are the two most serious things we're fighting against," Hughes said. "People are in denial about the fact that our streams [on the North Coast] are choked with sediment. And they've forgotten what the original landscape looked like."